America’s best MPG Van. King-size payioad, king-size economy. Ford vans are built tough. 1980 models can take up to 2,300 kg (5,070 lbs.—of payload—more than last year on most models). They’re built for spacious comfort. Out-front engine design means plenty of move-around room for driver and passengers. Above all, they’re built for long-run economy. 1980 Fords have the best gas mileage estimates of any van. Plus an estimated highway cruising range that’s hundreds of miles longer than others. For comfort, payload, fuel economy—look into 1980 Ford vans. Ask your Ford Dealer about Ford’s Extended Service Plan—and ask him about Ford’s no-cost 36-month limited corrosion perforation warranty, a warranty that excludes exhaust system components. See your dealer for full details. Ford: Out front in van design. Whatever happened to van art? Today’s vans turned mini, and have a lot of windows. Sadly, the MPG figures haven’t changed much in thirty years. But what’s with the banjo-serenade guy at the left! Jari » Are you kidding? It was to tie in with the Treasures of Tutankhamen Tour 1972-1979. This is the kind of stuff that Steve Martin was referring to. Stale donuts, huh? Don’t speculate. @Jari, this was just after the first big King Tut exhibit closed in 1979. 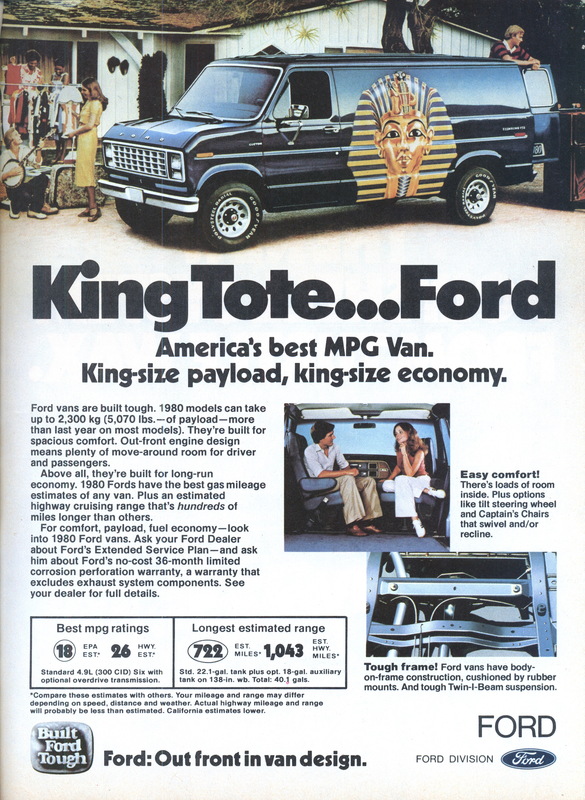 At this point people were associating King Tut with wealth, luxury, beauty, and mystery: not a bad association for any product, let alone a boring old panel van. I had the same thought about mileage, Rick. I mean, just look at that inefficient load of steel there. Yet my Honda CR-V is a fraction of the size, has a smaller engine and weighs a lot less, and it gets 19 (or less) around town and maybe 30 on the highway. Pitiful. John: Okay, maybe too esoteric reference. Visit Kairo, eat something not-so-well-cooked, and you’ll get something that locals call “The curse of the Pharaohs”. Not the most fun 2 days in my life in the late 90’s…..
OMG! 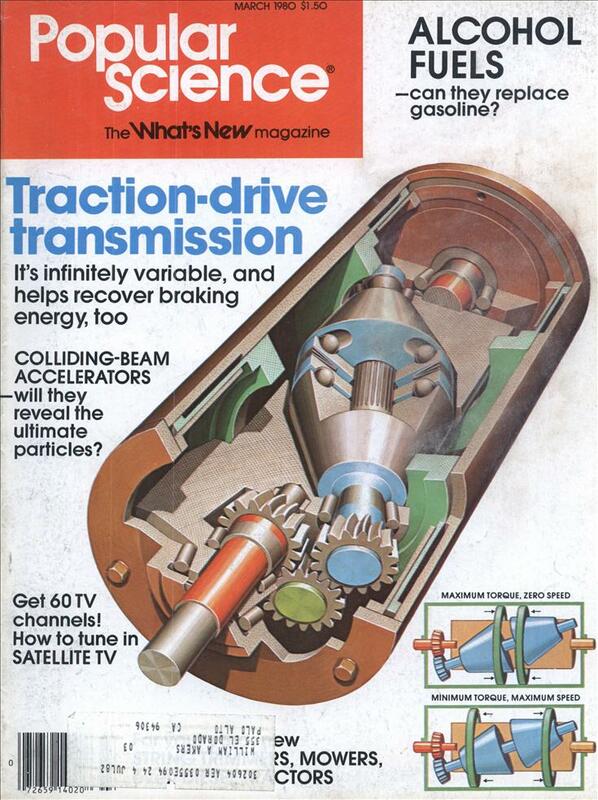 I remember seeing that I intensely stupid-looking van in a National Geo mag. What were they thinking? They took the King Tut fad too far.